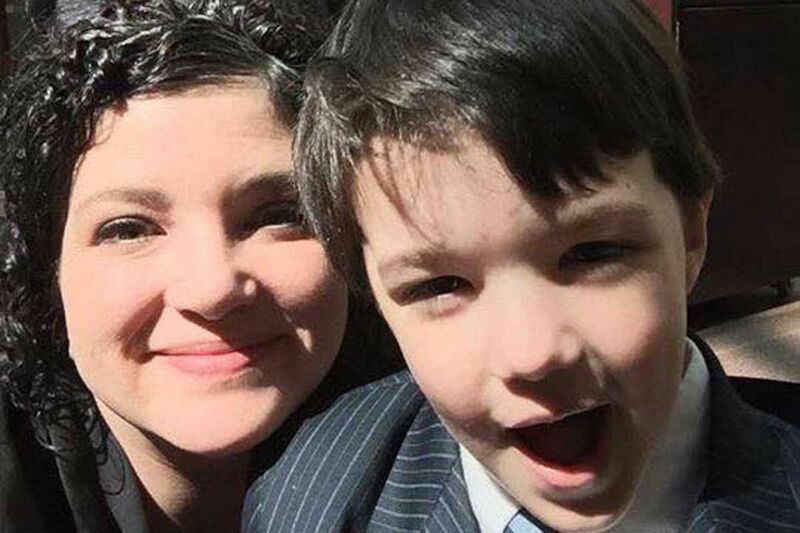 Cara Salemme, president of Campaign for Compassion, with her son Cooper in Harrisburg in April 2016. A group of mothers with epileptic children pleaded with a Bethlehem law firm on Tuesday to drop a suit that could shut down Pennsylvania's medical-marijuana program before it has a chance to launch. The lawsuit was filed Sept. 8 on behalf of a marijuana grower, Keystone ReLeaf LLC, which in June failed to win one of 12 potentially lucrative permits to cultivate and process cannabis in the state. The company submitted its application late, two days past deadline. Christian M. Perrucci, one of the partners of the law firm Florio, Perrucci, Steinhardt & Fader, is listed as a managing member of Keystone ReLeaf. Former Bethlehem Mayor John B. Callahan, is one of three major investors in the company, according to its application. The suit seeks a statewide injunction against the Pennsylvania Department of Health, claiming it botched the selection process and failed to follow the state law guiding the program. It demands that the state rescind all permits issued to grow and dispense medical marijuana. In addition, it says Keystone ReLeaf suffered "irreparable harm" and demands that Commonwealth Court order the state to reboot and start from scratch. "They're just thumbing their noses at sick patients," said Salemme, whose 11-year-old son Jackson uses medical-marijuana oils to help control his epilepsy under the program's temporary safe-harbor provision. The provision grants parents permission to buy cannabis products out-of-state for their sick children without fear of prosecution in Pennsylvania. "We're frustrated and nervous that this could stop the program just because they didn't get a license. We're not going to stand for that." Christine Taylor Brann of JSDC Law Offices in Hershey and William G. Roark, an attorney with Hamburg, Rubin, Mullin, Maxwell & Lupin, are preparing an amicus brief for the court on behalf of the mothers, their children, and other patients who are waiting for the program to start in early 2018. "If the question before the Commonwealth Court is one of irreparable harm, it's imperative that they hear from the patients that will be harmed by a delay in the process," said Roark, who co-chairs the Pennsylvania Bar Association's Medical Marijuana and Hemp Law Committee. "They were the catalysts behind this program. They're the reason that it exists."